It’s here! 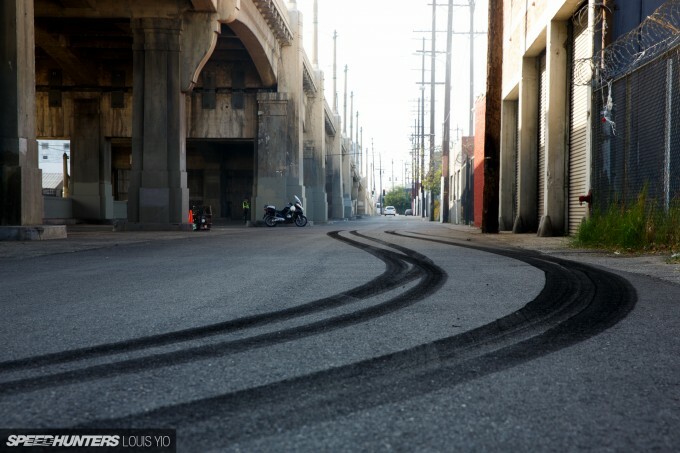 Fredric Aasbø and Papadakis Racing’s newest adventure, Dreamride: Los Angeles, is short film that’s just launched. Check it out below, and then join us for little behind the scenes tour of the production via a Q&A session with Fredric and Stephan. SH: So where did this idea come from? Stephan Papadakis: Three years ago Fredric and I were trying to come up with a concept for a fun five-minute video. During a trip to China we had a layover and I brought it up in a conversation with Larry Chen. After brainstorming for a bit over ramen noodles, the idea of a ride-along video seemed cool. A few years later I presented that idea to Hollywood director Michael Tiddes, among a few others, and he ran with it. He came up with several story lines to choose from and we ultimately thought the ride-along concept sounded the most fun. 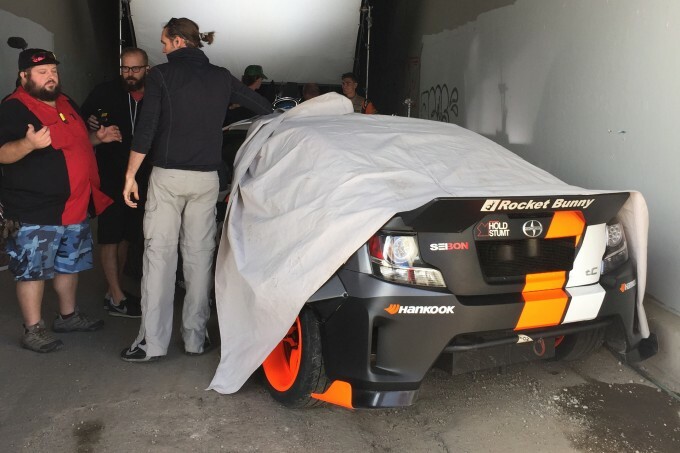 Fredric Aasbø: We’ve also wanted to take the tC and do something different with it. I mean, we have this crazy car and we can do so much more than just compete with it. 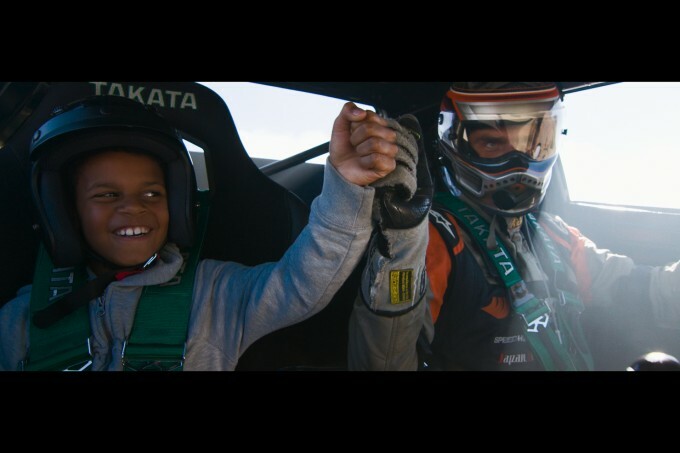 When I read Mike’s concept idea of Dillon, the kid, having his dream ride-along come true, it just clicked and I thought ‘Wow, this is what it’s all about. 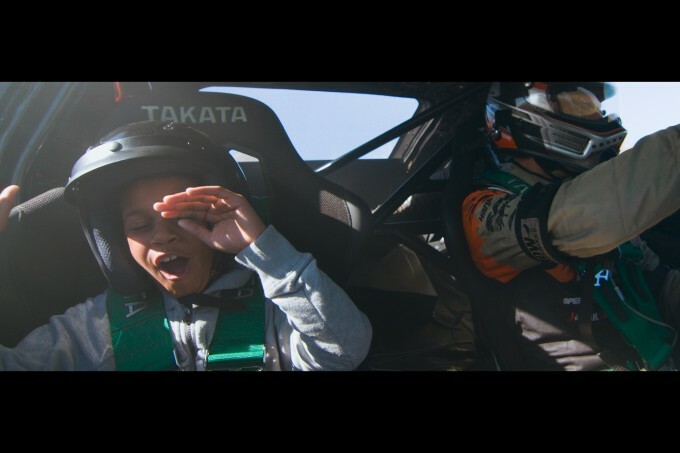 A lot of kids out there dream of doing what we’re doing for a living, and taking a drift fan for the ride of his life is something a lot of people can relate to’. 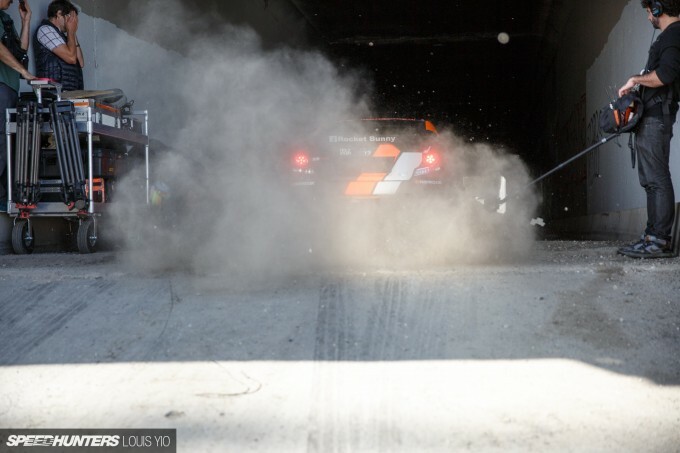 SH: Ken Block’s Gymkhana SEVEN is based in LA. Do you guys view that as competition? Fredric: Not at all. We love what Ken is doing and the Gymkhana series have brought rally, drifting and hooning – if you will – into the mainstream. If anything this is a hat-tip to Ken, and we actually didn’t know until after we had everything planned that Ken was shooting in LA. SH: So how is this different? 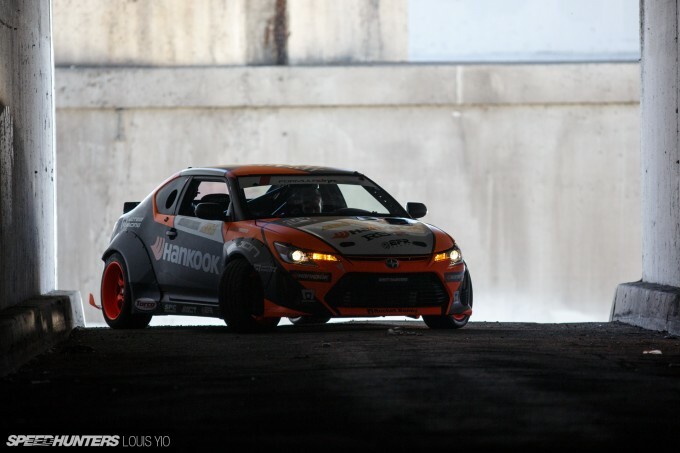 Fredric: The stars of the Gymkhana videos are undoubtedly Ken and his cars. What we wanted to do here, is make Dillon the star of our story. We wanted him to be in focus, not us. In that respect, we feel like we’re doing something different and adding to the spectrum of car videos. Plus, I’ve taken passengers for rides at various drift tracks around the world for many years, and I’ve seen what it does to people. So it’s really cool to finally show what that looks like to the world. SH: Did you have fun shooting it? 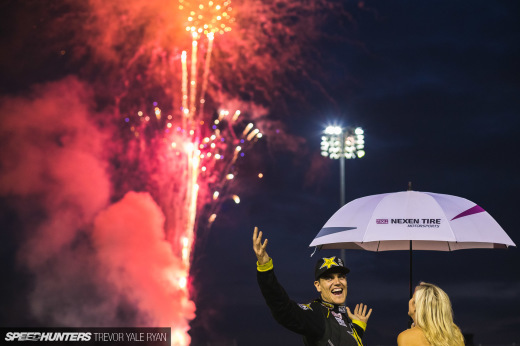 Fredric: Every time I get behind the wheel is fun, but I would say this was a different kind of fun. I’m very competitive and obviously love battling it out on the track, however this shoot was about something else. We took it to new places and had the opportunity to drift some iconic spots, which felt surreal for a guy that grew up far, far away from LA, in the deep forests of Norway. I’ve said many times now that part of my fascination for the US came when I was watching Baywatch as a kid. So having a 800hp drift car lined up at one of the Terminator locations on the 6th Street Bridge in Los Angeles and then have LAPD say to you ‘Alright kid, she’s all yours’ over the radio, is pretty frickin’ cool! SH: Who is behind this production? Stephan: Michael Tiddes wrote the treatment and directed the film. He also brought on an excellent director of photography and production team and found Dillon, the kid who got the ride-along. Fredric: Steph did all of the planning with the crew and my two days on set was the first time meeting most of the people behind the camera. We were on a tight time frame and had a limited budget, which meant we didn’t use an Ultimate Arm (an SUV-mounted camera crane), but a more basic chase and lead car with a gimbal. This was the first time this crew shot drifting like this, and seeing how they absolutely nailed framing, camera movements and focus pulls and whatever else goes on with a high-speed action like this from the get go, was mindblowing. We were definitely working with a very professional crew that made magic of whatever got thrown at them! SH: How do you get permission to shoot in such an epic location? Stephan: Jeez… That was a pain. Getting permission to drift in a city is tough. Not only was it hard to get the dates to shoot, 6th St. is a popular Hollywood shooting location and they are always filming commercials, movies and TV shows there. We also needed lots of insurance and the connections with the city. That is where Jon Brewer came in. He knows the process and was instrumental to the project. SH: Tell us about the logistics involved. 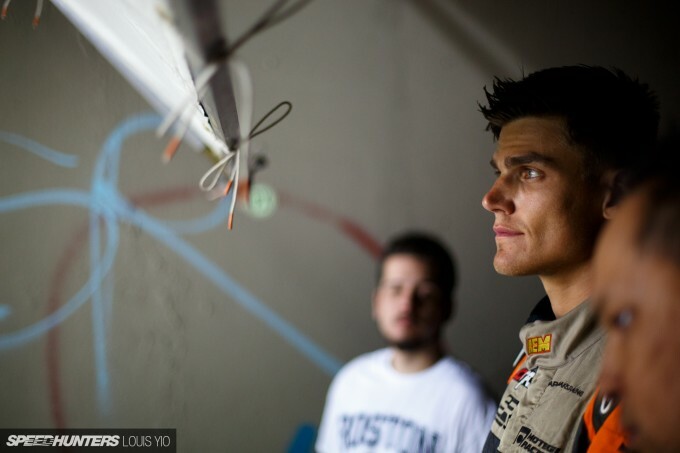 Stephan: We didn’t have a big budget for this video like Ken Block. 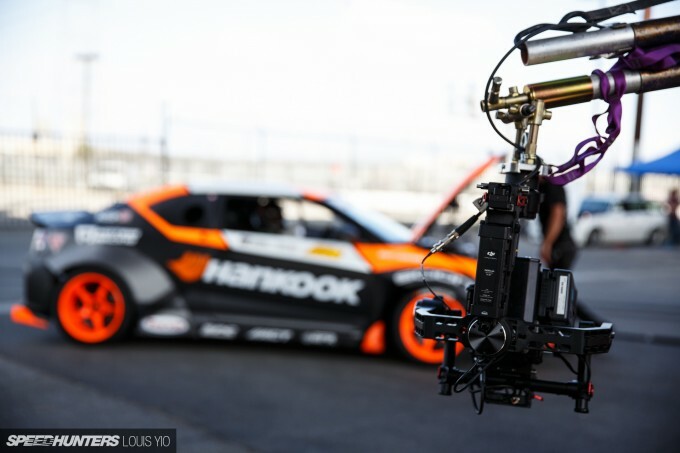 We did ours with five per cent of his budgets, so we needed to shoot the downtown scene on a Sunday and the racetrack scene the following Monday for a total of two days shooting. We had our race crew of three plus twelve on the production team. SH: We know the tC and its motor is pushed really far. Did it hold up during this shoot? Stephan: The tC ran flawlessly. We shot this just after the car returned from the SEMA Show. 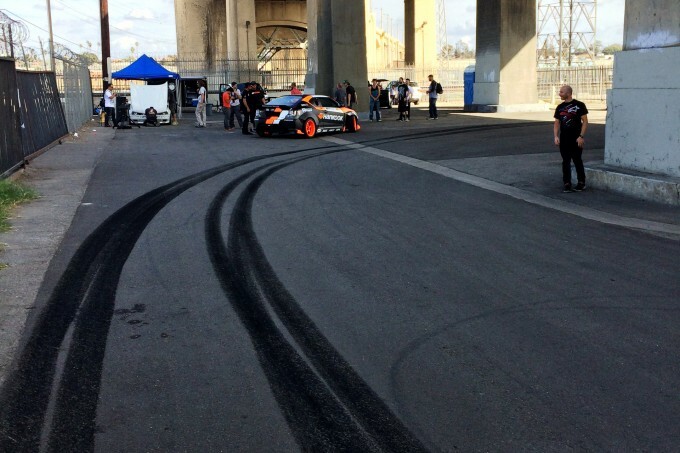 Mechanically it was unchanged from the Formula D Irwindale finals – we only did our normal between-event maintenance. 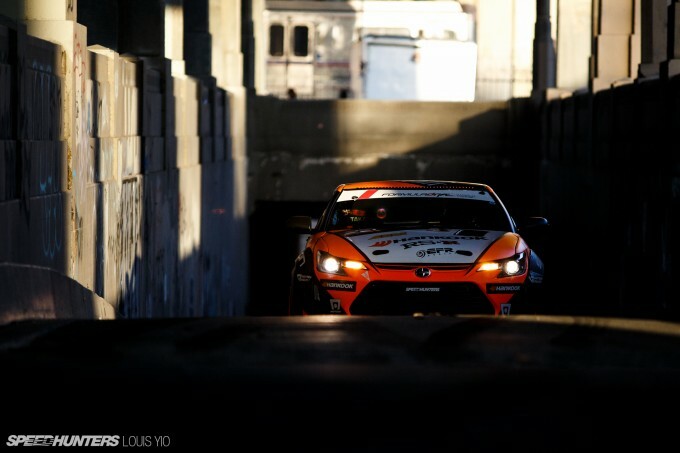 Fredric: The only hiccup we had was when we were filming the tC through the bridge underpasses sideways. It’s a real tricky stunt since the car is longer than the width of the columns. We thought it would be epic to have both the front and rear of the car close to the curbs with no margin for error. Too much angle and the car won’t fit. On one take I hit the front wheel and the rear wheel on two opposing curbs at the same time, bending the front suspension a bit. Fredric: That was nothing Shawn and Steph couldnt’ fix in a heartbeat, though! SH: Fredric, is a shoot like this all fun and games, or does it get as tense as competition? 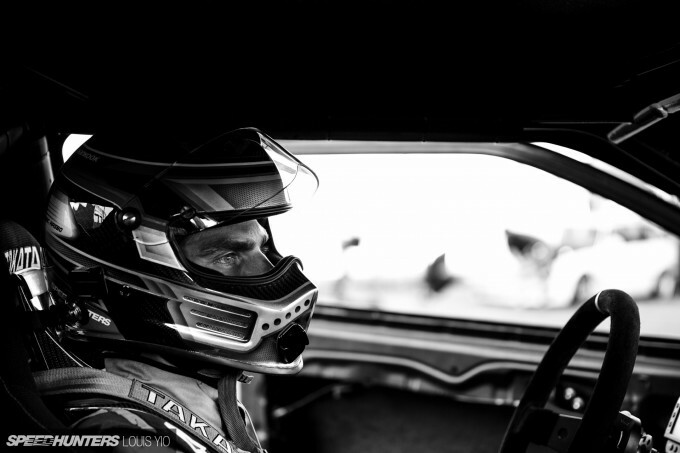 We have all seen you as you stage for a run in Formula Drift and you look like a warrior headed to his last battle. Fredric: Haha! 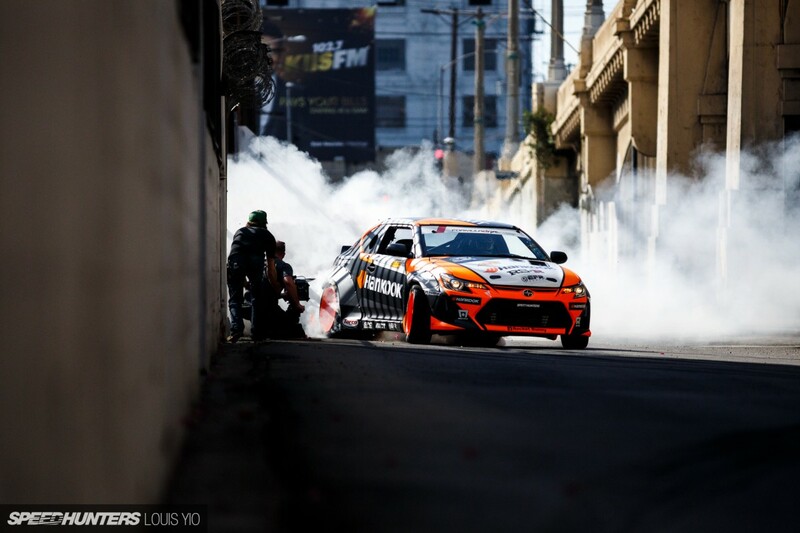 Well, a shoot like this is actually quite similar to drift competition because you want to nail the run every time. Fredric: There is always limited time, so you want to capture the best bits on camera and not end up with unneccessary empty takes and so forth. But a lot of the time you end up doing multiple takes not because of things going wrong, but simply because you want multiple camera angles of the same scene. SH: Steph, you have accomplished a lot along your way, including multiple championships in different forms of racing. What keeps you hungry for more? Stephan: Projects like this help. Creating more with our racecars than just competition. Giving rides to VIPs at the FD events are always fun when you see the expression on their faces after a lap. SH: Will there be a follow up to this video? Stephan: If people like the video and share it, we would love to do a follow up. Maybe something exotic in Norway. Fredric: I’d love for us to follow up with another video in 2015 and we have several ideas we are looking into. We’re at a point now where social media makes it relatively easy to see what people would like to see more of, but we’re definitely open for input here! SH: During filming were there any fights with the people living in the LA River? 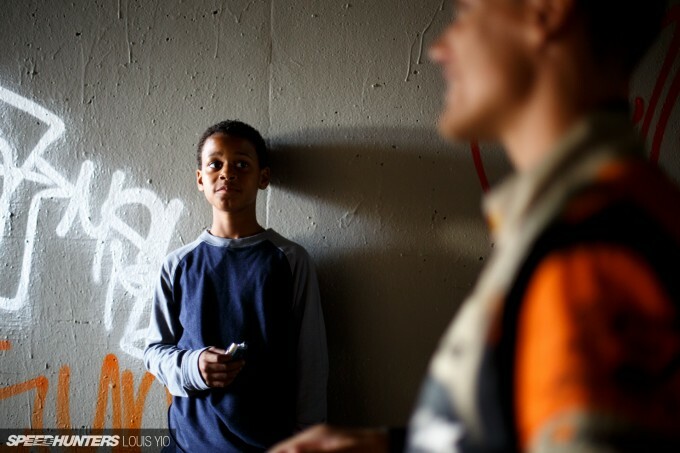 Stephan: The street residents were actually pretty easy going. We started the day at sunrise drifting out of the tunnel and into the LA river. We definitely woke up some dudes. There are round 30-inch drainage tubes along the river and this one guy must have been sleeping in one because he crawled out after our first take! Fredric: There’s all sorts of life down by that river, which blew my mind. One guy had a tent setup and was bumping music when we got there in the morning. And there were cats and birds roaming around and people biking down the river throughout the day. All walks of life. SH: Fredric, what’s it like taking all these people for ride-alongs? Do they get scared? Fredric: Some people get scared, but most of the time people have a lot of fun. It’s usually a lot calmer inside the car than what it looks like on the outside, which seems to take the passengers by surprise more often than not. But it’s really different from normal street driving, so people that aren’t avid drivers seem to think of it as a rollercoaster ride. People that drive and know about car physics, however, are impressed by the rear grip and transition speed built into these cars. 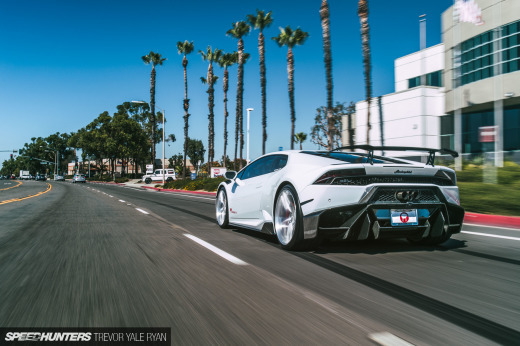 Fredric: I’ve had people swear, scream and yell and shake uncontrollably when they get out of the car, but it seems like they’ve all really, really appreciated it. And that vibe inside the car is what we really wanted to get across with this video. I hope you all enjoy it, and that I can give many more of you guys rides in the years to come! 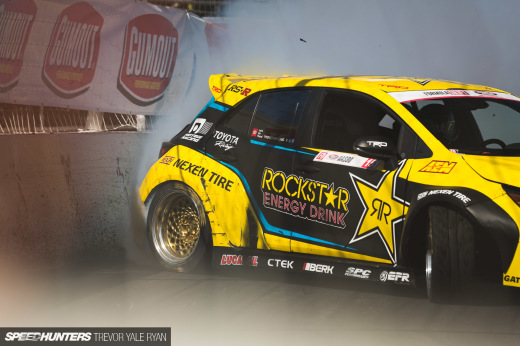 Hooning in L.A. with a propper drift car. 'Brake' check, 'Brake' check... This is Captain Obvious speaking. I like Ken Block and Matt Powers. That was brilliant! The car, driving, filming, settings, and the kid... all smiles on this one. Hat's off to the entire team that pulled this off. Great video! Loved seeing the joy on the kids face. Talk about fun! AWESOME!!! Really enjoyed the video, it's very cool of you guys to take this dude on the ride of his life, hope to see more of you coming soon! I feel like this sums it up... "The stars of the Gymkhana videos are undoubtedly Ken and his cars. What we wanted to do here, is make Dillon the star of our story. We wanted him to be in focus, not us. 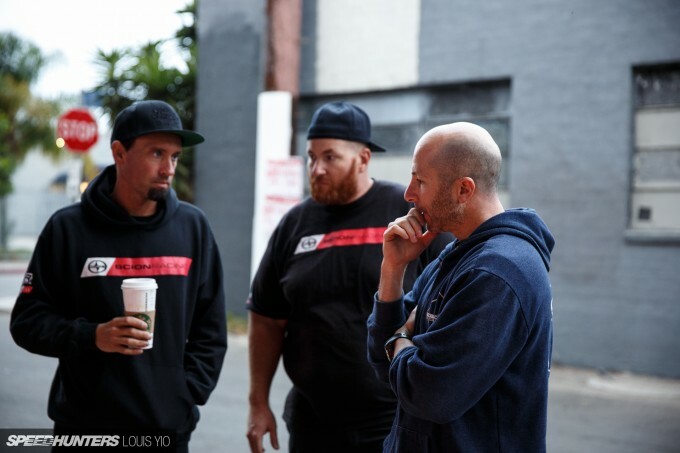 In that respect, we feel like we’re doing something different and adding to the spectrum of car videos." I think they executed this very well. silveradotx Glad you liked it! Please get out there and share to spread the word so we can make another one! "A lot of kids out there dream of doing what we’re doing for a living..."
Dude a lot of ADULTS dream of doing what you do for a living. I liked the video but the kid (Dillon) was the star of the show. I would love to see this morph into something where Aasbo actually gives real ridealongs (like Make-A-Wish Foundation.) Would be awesome to film real kids with real emotions getting real ridealongs. I would definitely support/volunteer to help. Something like what Richard Hammond did in the pink Lambo except in a drift car doing amazing stuff. Amazing ! Now I get to see more of the tC on action ! Btw , nice E34 as camera , what's the details on that car ? You say a follow up with something exotic, Pikes Peak? I have a very good friend who happens to be the Director of Promotion and Legacy for the PPIHC. If this sounds any interesting leave a comment and I will get in touch with him. Love watching this car at fd long beach. Those slaloms through the through the columns were insane! OK...few things...#1 GJ Fred! #2 Hands down BEST use of a drift car OTHER than competition #3 THAT 360 INTO THE DRIFT THOUGH!!!!!!!! WEEEEEEEEEEEEEEEEEEEEWT!!!!!!! Can we get a feature of that E34 please? Gorgeous car you got there and the edit is purely awesome! Honestly my only problem with this video was added sound effects. They were distracting and cheapened the feel of it IMHO. Superb driving though and I loved the concept. I can't help but wish it was longer. I definitely think a feature is in order. TKimmell im probably not the only one who thinks that the outcome would be insanely sick! iminlovewiththecoco I'm sure the kid would have preferred to ride along in the city shots, and true amateurs might have allowed him to do so. Professionals in the film industry will tell you that it's quite important to minimize the risks involved when working with child actors. Even if you can't appreciate the level of cinematography and editing of the film itself, the camera and lighting gear pictured in this article should be a hint that the people involved in this project are the real deal. Oh wow ! It is a estate ! 845rhwp , that is about the same as the car they film , haha ! LavarBowers Haha, thanks a lot! Glad you liked it! jdmRob TKimmell Would love to make it the PPIHC. Anything is possible! Aasbo, I liked how you had pulled off that amazing mid-drift 360! However... I kinda get the feeling that you guys were just showing up Matt Powers... As a suggestion for your next video, if made, you should drift up Pikes peak. That would look AWSOME!!! His name is Mitch Snow, I will have him get ahold of you guys. PPIHC week is unfortunately smack dab in the middle of summer, and racing season. I really enjoyed every aspect of the video. Could watch drift videos all day haha. I'm just waiting for a full-length movie next! Samantha Palmer Thanks Sam! Hope all is well! TimAukamp Thanks Tim! If anything it's a high five to Matt. The short HTM video he put together with Larry and Will blew a lot of people's mind and we loved it too. A pikes peak drift video would be cool! Samantha Palmer Watch Børning. IIRC FredricAasbo did all of the drifting scenes in his Toyota/Speedhunters GT86 while the actor drives a replica version.